As the colder weather sweeps over us, the blankets come out, the heating comes on and our beds get harder and harder to leave in the morning. You know that feeling, being so snug and warm, the thought of even getting out sends a shiver over you. Some evenings in winter, nothing I love more is to relax in bed. Not just for sleeping, but get a hot chocolate, get snug under the covers, maybe even with a loved one to watch a film with. You could even just relax with a book. 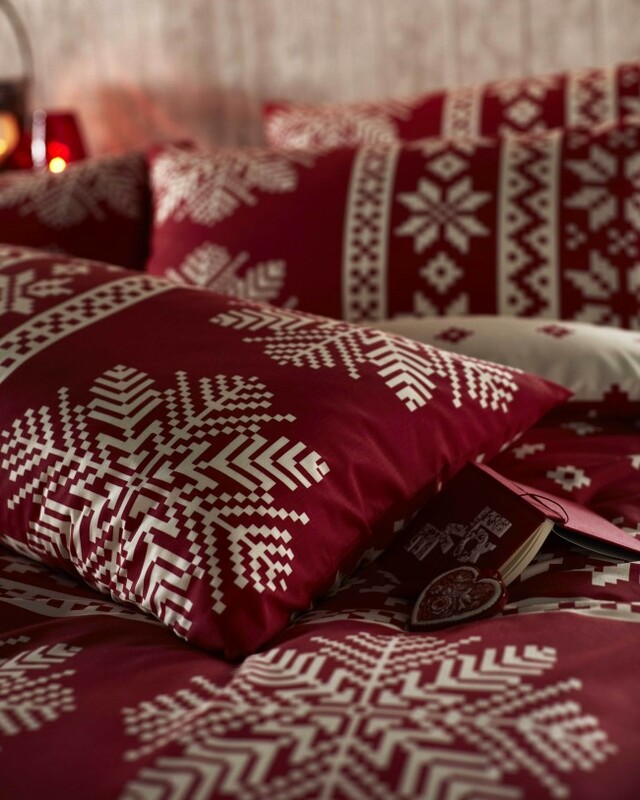 With Christmas time and new seasons comes new bedding. One of the best feelings is getting into a freshly made bed with new sheets. These are high on my shopping list, in the picture above. I love the not so in your face christmas design. Chic, almost. You can get them here. They even have £20 off at the moment at Yorkshire Linen, will be getting them while I can!. There is loads more christmas designs and beautiful florals ones, go have a peek. A naughty treat like mince pies or sweeties! Where’s your favourite place to relax in winter?